New Construction Purchase: Interest-Only Loan Or Adjustable Rate Mortgage? A: My wife and I are thinking about purchasing a new construction home within walking distance to the beach in Florida. We’re moving because I’m getting transferred. Typically, people in this job stay for at least 2 years and perhaps as long as 5 years, but you never know. I’m thinking about financing this purchase with a 7/1 adjustable rate mortgage, structured as an 80/10/10 interest-only loan. Given that the price of housing in this area has done nothing but increase dramatically over the past few years, I feel pretty comfortable with this, but would like to get your opinion and insight. Long-term, I’d either sell or refinance and use the property as a rental. What do you think about using an interest-only loan for this purchase? A: Interest-only loans are generally much less costly than regular loans because each payment is only the interest owed, without any principal. But depending on which interest-only loan product you choose, the interest rate can be lower or higher than a conventional fixed-rate or adjustable rate mortgage. For example, a friend recently refinanced her interest-only loan and her new rate is 2.75 percent. But, she has a 6-month loan tied to LIBOR, which is a slow-moving index, and the loan can adjust every six months. But if you want a 7/1 interest-only loan, you’ll pay a higher rate than a conventional 7/1 ARM. I typically think of interest-only loans as being good for very short-term circumstances. For example, if you said you were going to live in your home for 6 months and then sell it, an interest-only mortgage might work out well. But you’re clearly not thinking that short-term. 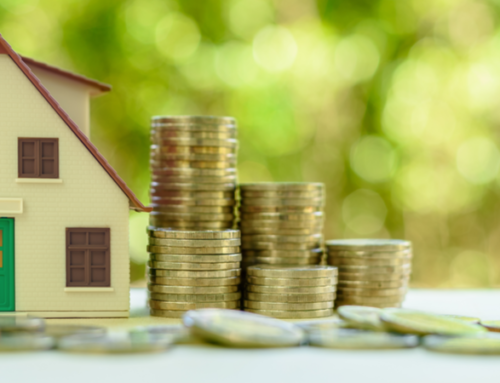 With a loan that you’re planning to keep at least two to five years, and perhaps longer if you turn the property into a rental, you should consider other options. Why? If you start your 3-year ARM at 3 percent, the payment is fixed for 3 years. If the rate can only rise by 2 percent maximum, you’d pay 5 percent in year 4 and 7 percent in year 5 of the loan. ThatÃƒÆ’Ã‚Â¢ÃƒÂ¢Ã¢â‚¬Å¡Ã‚Â¬ÃƒÂ¢Ã¢â‚¬Å¾Ã‚Â¢s still a great rate. The overall rate could only rise to 8 or 9 percent over the life of the loan. Similarly, if you got a 5-year ARM at 4.25 percent, the rate could only rise as high as 9.25 or 10.25 percent (depending on whether the mortgage has a 5 or 6 percent lifetime cap), but you wouldn’t hit that until year 8 of the loan. In that period of time, you’d have ample opportunity to figure out if you’re staying or going, or keeping the property as an investment. I like the idea of building up at least some equity. It’s a smart move because even though homes in your neighborhood have been skyrocketing in value, things change and I’d hate to see you wind up with a mortgage for more money than the property is worth. Q: My wife and I began looking for a home. Through the course of becoming pre-approved, we were offered a 100 percent mortgage. This seems like a great option for us because we only have enough in savings to cover the closing costs. When we mentioned this financing option to our real estate agent, she was very negative and stated that sellers do not respond well to them. Can you tell us why she would respond this way? A: Good question. Sellers don’t want to waste time with buyers who seemingly can’t afford to buy the home. And if a buyer doesn’t have cash for a down payment, sellers often conclude that they won’t qualify for financing either. An agent knows a 100 percent mortgage can be a tough sell and this may be why your agent is so negative about it. It’s up to your agent, in my humble opinion, to convince the sellers and their agent that you are really guys are legit. One way to help her out is to apply for and get pre-approved for your 100 percent mortgage before you make an offer. Once you’ve been approved, your lender will give you a commitment letter that states that you will get your mortgage provided the property appraises out in value. Attaching a commitment letter and perhaps even $1,000 as a good faith deposit should strengthen your offer significantly, and make your agent feel a whole lot better about bringing that offer to the seller.